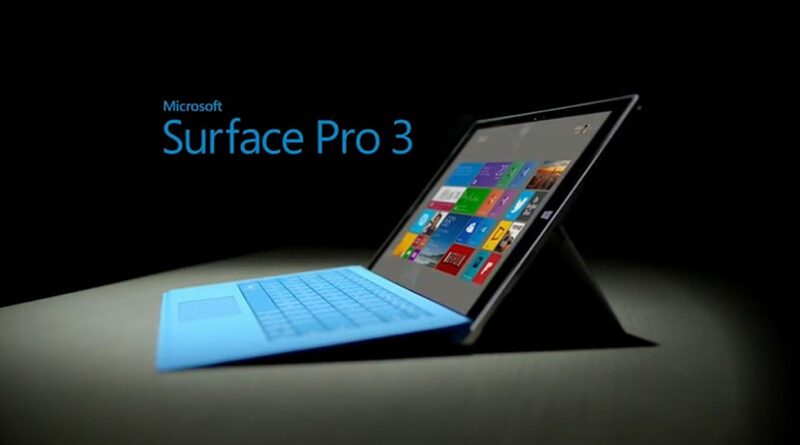 With the May 20 introduction of the Surface Pro 3, Microsoft has unofficially withdrawn from the tablet market. If you’re looking for a tablet computer, your two main platform choices are now Android and iOS. The Surface Pro 3 isn not an Apple iPad competitor. It doesn’t go up against the Google Nexus family, or the broad Samsung Galaxy product range. Nope. With the Surface Pro 3, Microsoft has quietly redefined the Surface product line as consisting of ultralight Windows notebooks with touch-screens and removable keyboards. That’s a “tablet” in the sense of the circa-2005 Windows tablets that ran Microsoft Windows XP Tablet PC Edition. I still have a Fujitsu Lifebook T4010 from that generation, and it was an excellent notebook, with flip-around screen and stylus. Better than a conventional notebook, yes. A device like an iPad or Nexus or Galaxy? Nope. Doesn’t sounds like a Galaxy, Nexus or iPad killer. Of course, the Surface can be a tablet sometimes, and that’s Microsoft’s thinking: Most of the time, you want a notebook. Sometimes you want a tablet. Why have two machines? The complexity of Windows 8.0 (shipped with the original Surface Pro) and the newer Windows 8.1 made the Surface a questionable replacement for a standard tablet. For a short period of time, yes, you can unclick the keyboard and have a walk-around tablet for surfing the Web, watching a movie, reading a book, playing a game or filling in forms. No comparison to what most of us call tablets: “Surface Pro 3 is a tablet and a laptop: multiple processors, RAM and storage options intersect with a sleek design that, with a simple snap or click, transform the device from a perfectly balanced tablet to a full-functioning laptop and back again— all in a beautiful package that is 30 percent thinner than an 1-inch MacBook Air,” says Microsoft. Also, the bevy of configurations—see Microsoft’s pricing sheet—makes this more like a notebook purchase than a tablet. Four storage configurations from 64GB to 512GB. Intel i3, i5 and i7 processors. 4GB or 8GB RAM. USB ports, microSD card reader, Mini DisplayPort, for external monitor: It’s a notebook. Except, of course, that you have to buy the keyboard separately. Bad move, Microsoft. I am a genuine fan of the Surface Pro. I own the original 2013 model and use it as my main Windows portable. Yeah, it’s a bit slow, and the battery life is terrible, but it’s an excellent notebook. The new Surface Pro 3 is superior. Were I shopping for a new Windows machine, I’d run down to the Microsoft store and buy one. But it’s not a tablet. There’s no small form-factor version of the Surface Pro 3. There is no upgrade of the truly tablet-class non-pro Surface running Windows RT, which you can pick up for US$299. Bottom line: Microsoft makes great hardware, and has pulled out of the tablet market.